Start Why Edison didn’t win a Nobel Prize? 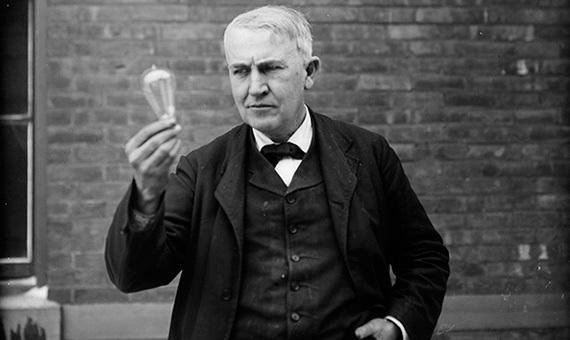 By way of contrast, consider Thomas Edison, by universal consent a brilliant inventor, but someone who had little interest in observations that had no immediate practical relevance. In 1883 he observed the flow of electricity across a gap, inside a vacuum, from a hot filament to a metal wire. Since he saw no practical application and had no scientific training, he merely described the phenomenon in his notebook and went on to other matters of greater potential utility in his effort to enhance the performance of the electric light bulb. Edison was, of course, observing a flow of electrons, and the observation has since even come to be referred to as the “Edison Effect”—named after the man who, strangely enough, had failed to discover it. Had he been a curious (and patient) scientist, less preoccupied with matters of short-run utility, Edison might later have shared a Nobel Prize with Owen Richardson who analyzed the behavior of electrons when heated in a vacuum, or conceivably even with J. J. Thomson for the initial discovery of the electron itself. Edison’s “prepared mind,” however, was prepared only for observations that were likely to have some practical relevance in the short run.